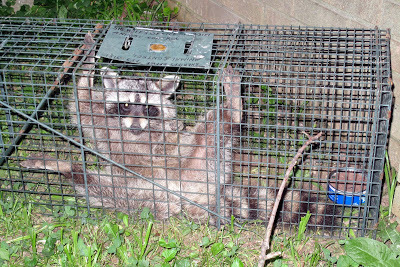 My husband used to have a pet raccoon named Squeaky. I should make it clear I’m not really a pet person. Period. Especially when it comes to raccoons. And I’ve seen enough of this guy up close and personal in recent days. 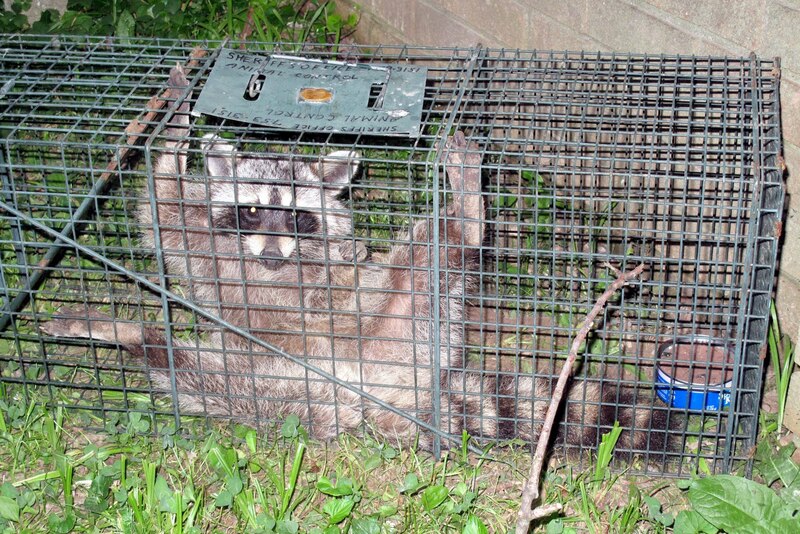 Hopefully, he’ll be departing in the morning, once the local animal control officer comes on duty in the morning. He works 9-5, which is slightly inconvenient when dealing with unwanted nocturnal guests. Greg must have soft spot for raccoons because he said Fairway Frank, who is actually a opossum* on a TV show, looked uncomfortable. He poked his paws with a stick so he’d change positions. Greg said maybe he’d sleep better in the cage that way. Well, maybe, except he doesn’t typically sleep at night.